The holidays are the most expected and joyous time of the year, hundreds of people travel thousands of miles world round to get with their loved ones. Transportation industry worldwide gets hit with the most hectic time and season of the year. Holidays and family time is not the only thing that creates chaos during this time, but also snowbirds looking to escape the cold winters into warmer places. During this time, transportation demand is at its highest, not only for airlines and other public transportation, but also for car transporters. Car Transport during the Holidays can be a very tricky situation due to the high demand from customer but the low availability of drivers, therefore if looking to transport during this time it is recommended you book in advance and be sure to have a backup plan just in case. Many people don’t realize drivers are also looking to book their jobs and plan their schedules so they can also spend time with their families and loved ones. Unfortunately due the weather conditions during winter, schedules get delayed and sometimes it is not possible for them to make it on time to their homes. Like mentioned before, having a backup plan is recommended at all times, however during this season it is a must! most customer end up booking transportation services last minute, almost an hour before their flight leaves and expect magic to occur, even better at a budget price. It is very important to understand that schedules are planned at least a week in advance to avoid these last minute scenarios in order for transit times not be delayed and for drivers to be able to take the holiday off. Some drivers will even take the whole holiday period off and resume after New Years. This brings down the driver availability so schedules become tighter. 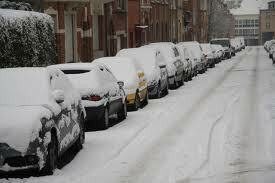 Regular transit times can be delayed by 2-3 days also due to harsh winter conditions, so be prepared. It is recommended for snowbirds to start to plan their transport as earlier as possible to the holidays to help alleviate the high demand. This will also avoid delays on customer’s schedules and allow drivers to have more flexibility during transit times. Carriers can help you booking your transportation as early as 3 months in advance, take advantage of this option, calling a week in advance is also good timing, although it can take longer depending on the location. Off route locations are harder to reach, especially in northern states due to bad road conditions during the season, therefore getting a driver there may take longer than expected. it is important for customers to be aware of the reality of each scenarios, this will avoid having unrealistic expectations from the beginning. Prices to ship during winter can get a little pricey due to the high demand and tricky schedules due to holidays and harsh weather conditions. Regular prices to ship a car can go up from $100- $300 more than usual. The bigger the demands, the higher the prices. It is very easy for customers to become desperate and frustrated with tight schedules and time running out, however you must be aware that you will receive the service you paid for. Some carriers will allow you to take things in the car, some will not, therefore it’s very important for you to ask about this option before your car is picked up. Adding things to your car is both an insurance liability and a risk for overweight on the carrier. Road conditions maybe bad enough already to add unnecessary weight on carriers and make the trip more dangerous than it has to. Besides the weight factor, these items are not covered by insurance, therefore it is a risk as robbers may break in and damage your car as well as others mounted on the carrier; not mentioning the danger you will put the driver in. Make sure you speak with your agent about all possibilities while booking your transportation. If you decide to ship during winter, especially during holiday season, do so in advance, do not wait for last minute. Frustration and stress will not help the driver drive faster, nor will magically get your car delivered in a blink of an eye, therefore it is strongly recommended to have a backup plan if worst comes to worst and you scheduled pickup or delivery is delayed.